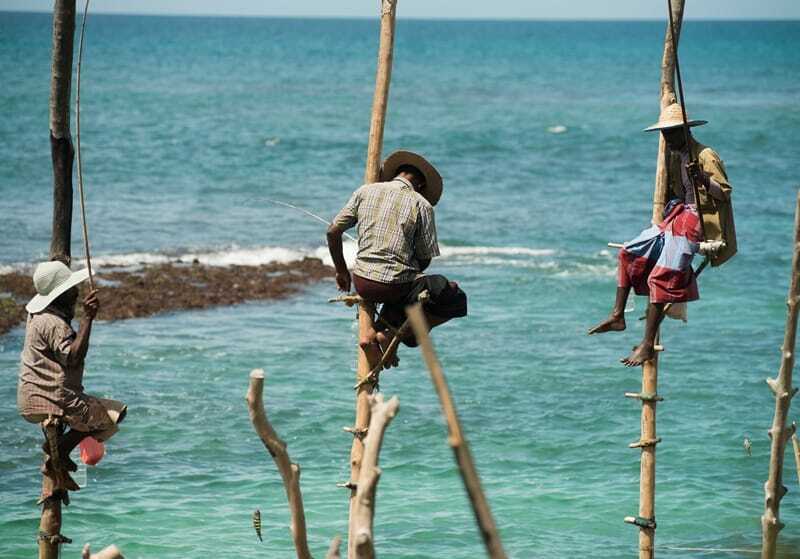 Easily deserving of its 'Paradise Island' moniker, Sri Lanka is a wonderful relaxed place. Full of unbelievable wildlife and incredible food, there's so much to see on a Sri Lanka tour. Sri Lanka is a dream for wildlife lovers. Animals and birds are not only abundant, but relatively easy to spot! There are several national parks where large herds of elephant roam, leopards bask in the branches of trees, and colourful birds make their presence known with their ever-present calls and chirps. Off the coast there are pods of dolphins playing in the waves, blue and sperm whales surfacing for air, turtles coming ashore to lay their eggs, and clear tropical waters teaming with rainbow-coloured fish. Most Explore trips, including Buddha’s Island and Secrets of Sri Lanka, visit Wilpattu National Park. Less visited than other parks in Sri Lanka, Wilpattu has dry jungle and around 60 lakes where water birds flock in large numbers. The park is also home to leopard, monkeys, elephant and many species of deer. Spending a night on the outskirts of the park is a wonderful experience with the sounds of the jungle providing an evocative soundtrack to a restful night's sleep. Whale watching cruises are a great way to see these magnificent beasts and typically depart from the coastal areas of the southern Sri Lanka from December to April. Whales can also be spotted off the east coast near Trincomalee from May to October; Explore's North Sri Lanka Explorer and Highlights of Sri Lanka trips visit here during this time. Between the full moons of December and April, thousands of pilgrims make their way to the summit of Adam’s Peak in time for sunrise. A scared spot for Muslims, Christians, Hindus and Buddhists, it is a place shrouded in myth and legend: one story says that it was here that Adam first stepped on earth; another that Buddha left the earth from this spot when ascending to Nirvana; and yet another suggests the whole area is the giant footstep of Lord Shiva. Whichever legend you prefer, it is safe to say that Adam’s Peak is a very holy place. The Adam’s Peak version of the Buddha’s Island trip gives you the opportunity to join the pilgrims and make your way to the top of the peak, beginning very early in the morning and arriving at the most auspicious moment just before sunrise. The On Foot in Sri Lanka trip also includes the ascent of Adam’s Peak along with other walks through the island’s incredible scenery. Horton Plains is a beautiful area situated on Sri Lanka's highest plateau at over 2000 metres. Traditionally named Mahaeliya, the park's main attraction is the dramatic escarpment known as World's End. It forms a spectacular 880 metre drop and offers stunning views across the tea plantations far below. On the Secrets of Sri Lanka trip an early morning trek means that there is clear, fresh air to make the most of the views; it is also a great time of day to see the animals of the area, such as sambar deer, when they are at their most active. There are beautiful beaches all over Sri Lanka! From May to October those on the east get the best of the weather, and this is also the time that blue and sperm whales are migrating along the eastern coast of the island. This is why Trincomalee is included on Explore's Highlights of Sri Lanka trip during these months. The west coast gets the best sunshine from November to April and Unawatuna is included during these months, again with the added bonus that whales can be spotted off the coast for most of this time.